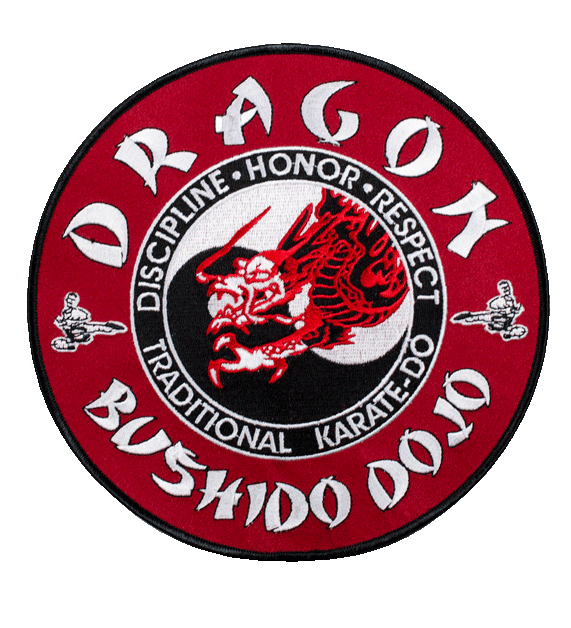 Martial Arts Bushido Dragon Patches. These are large back patches used on the students karategi which is similar to a judogi. There are several style the come from the karate gi such as the Brazilian jiu-jitsu gi, Keikogi, Jujutsugi, Aikidogi, and Kendogi. All styles of which can have martial arts / MMA patches applied.